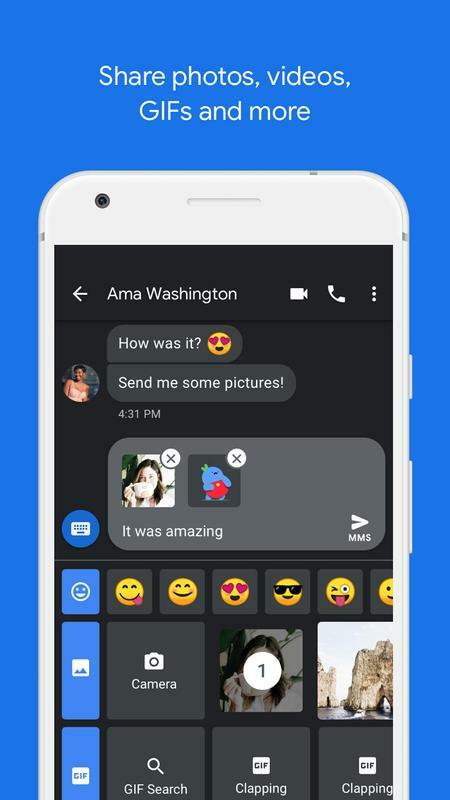 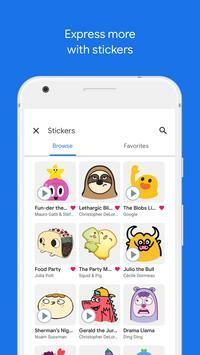 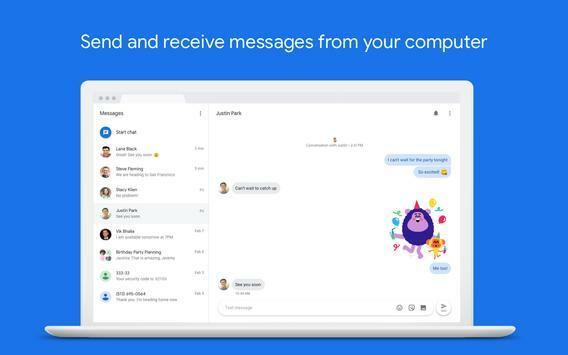 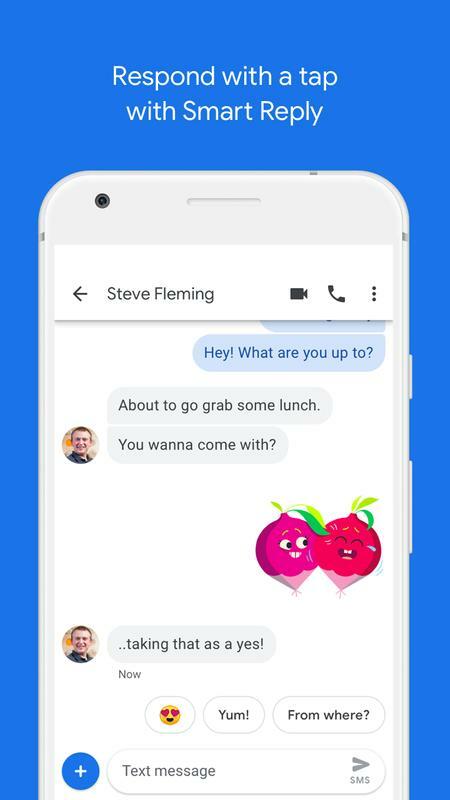 Meet Messages, Google's official app for texting (SMS, MMS) and chat (RCS). Message anyone from anywhere with the reliability of texting and the richness of chat. Stay in touch with friends and family, send group texts, and share your favorite pictures, GIFs, emoji, stickers, videos and audio messages. 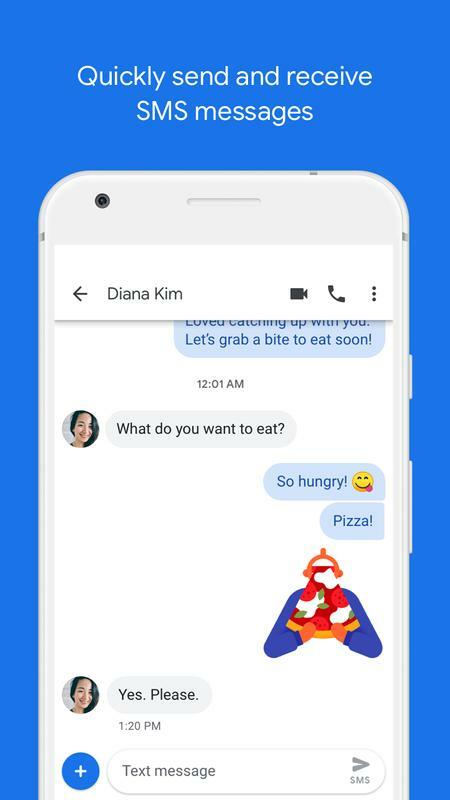 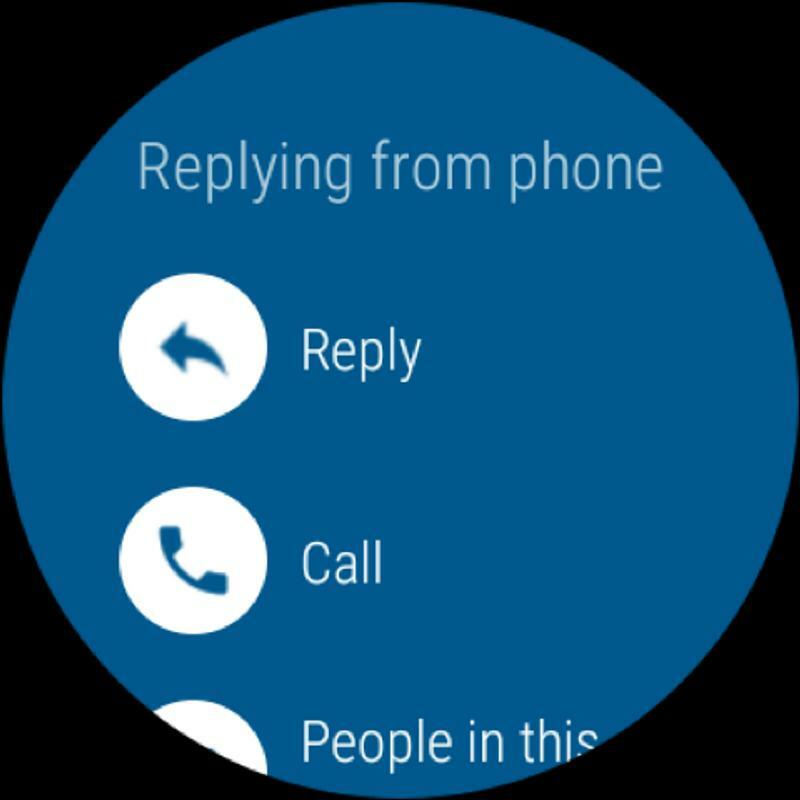 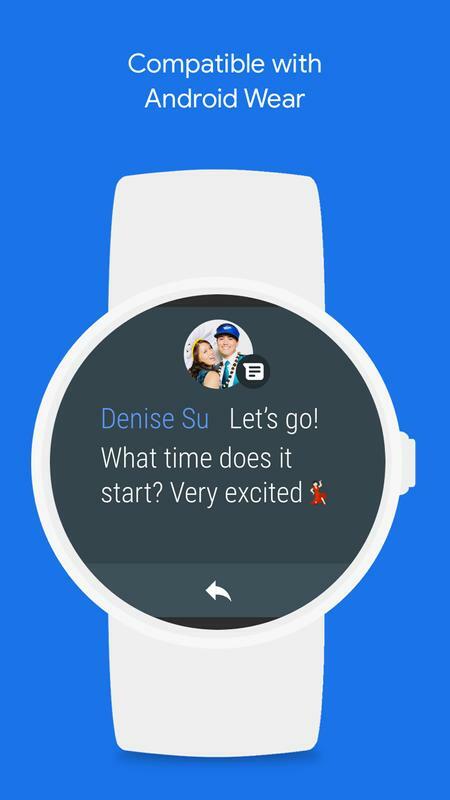 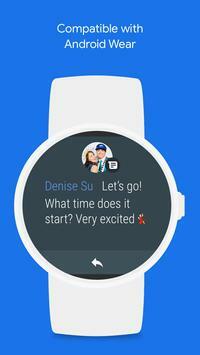 Instant notifications, smart replies and a fresh new design make communicating faster and more fun. 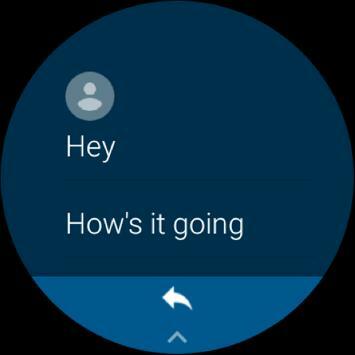 With dark mode, you can use Messages comfortably in low-light situations. 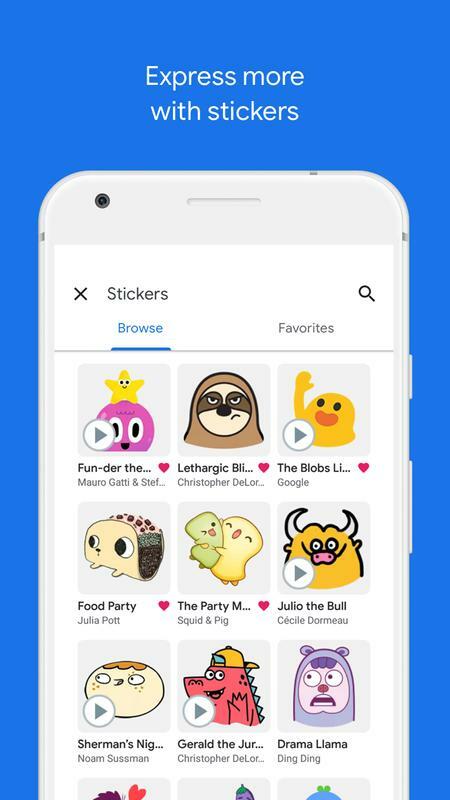 Send audio messages, emoji, stickers, or your location. 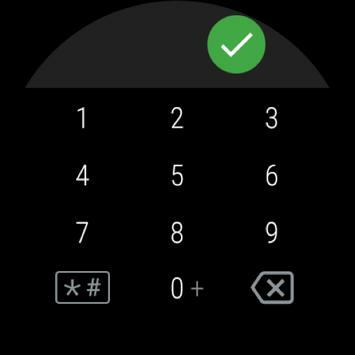 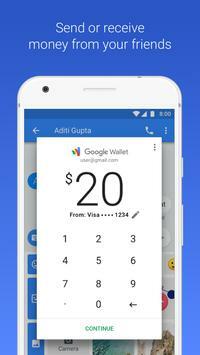 You can also send and receive payments with Google Pay. 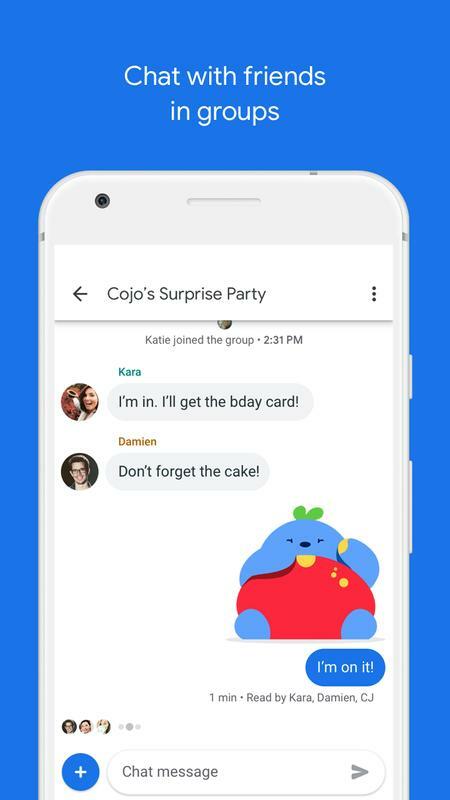 Now you can find more of the content shared in your conversations: tap on the search icon and select a specific contact to see your messaging history with them and all the photos, videos, addresses or links you shared with each other. 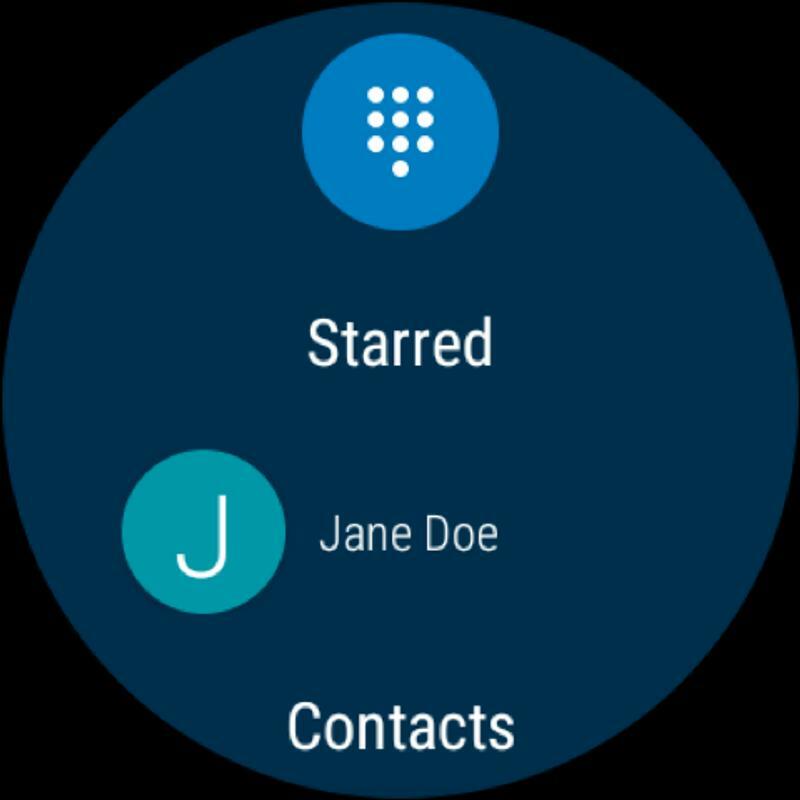 On supported carriers, you can send and receive messages over Wi-Fi or your data network, see when friends are typing or when they have read your message, share images and videos in high quality, and more. 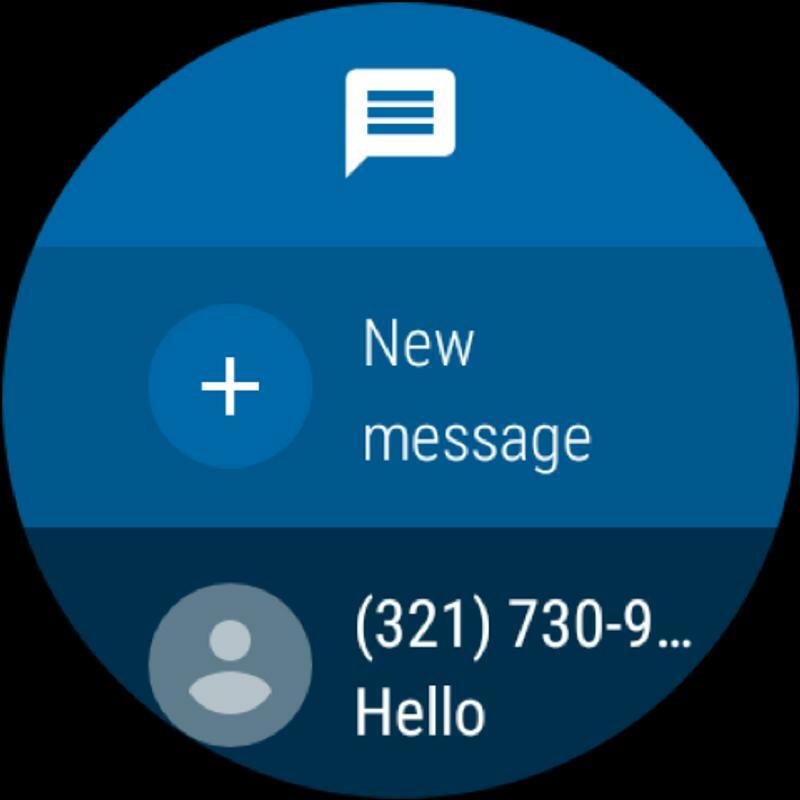 Messages is supported on devices running Android™ 5.0 Lollipop and above.